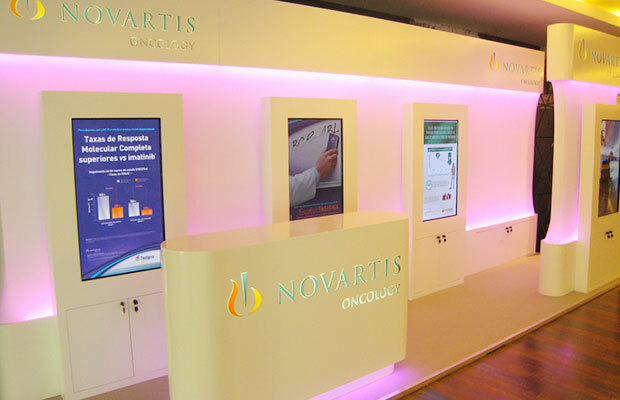 An interactive Augmented Reality experience for Novartis Oncology Portugal, produced by NearInteraction, in partnership with BUG Group. NearInteraction was part of the 49th International Paris Air Show 2011 held at the Le Bourget Airport at the end of June, with a series of interactive installations revealing the services offered by TAP Maintenance and Engineering (TAP M&E). NearInteraction was responsible for an eye-catching gesture based interactive wall, comprised of 4 large scale high-res screens where visitors were able to manipulate the inner workings of an aeroplane by using their arms, and an all inclusive iPad app of TAP M&E facts and figures which connected in real-time to the interactive wall, displaying any content that was being browsed at that moment. At an event that brings together more than 2100 exhibitors from 45 countries, it is an important consideration to stand out from the crowd, a consideration achieved by NearInteraction with an interactive LED installation embedded into the booth’s specially designed awnings, featuring RGB light that was able to respond to both presence and movement with beautiful dynamical transitions of color as attendees passed by. In collaboration with dass, NearInteraction created an interactive installation for the launch of the exhibition Habitar Portugal. What will the City of the Future be? 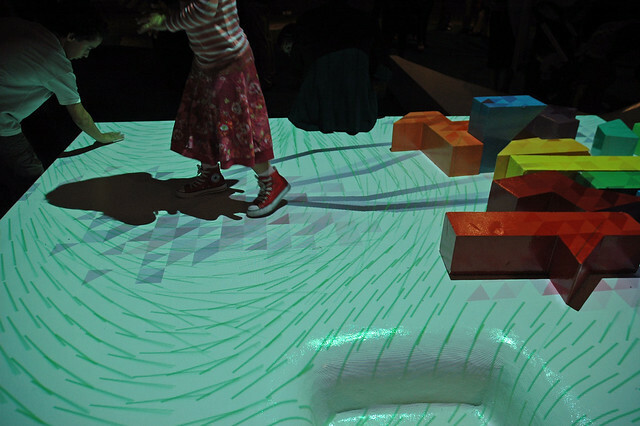 Playtecture is an fictional architectural game that explores the theme of the future of the city, by creating an urban, playful, dynamic and emotional ambiance that changes and interacts in real-time with the public.